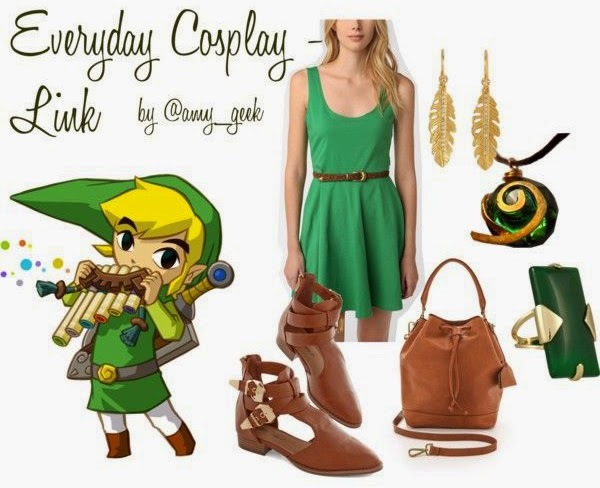 See more everyday cosplay looks at Polyvore. Need a fun, charming new webcomic that stars a rad female protagonist with a cat sidekick? 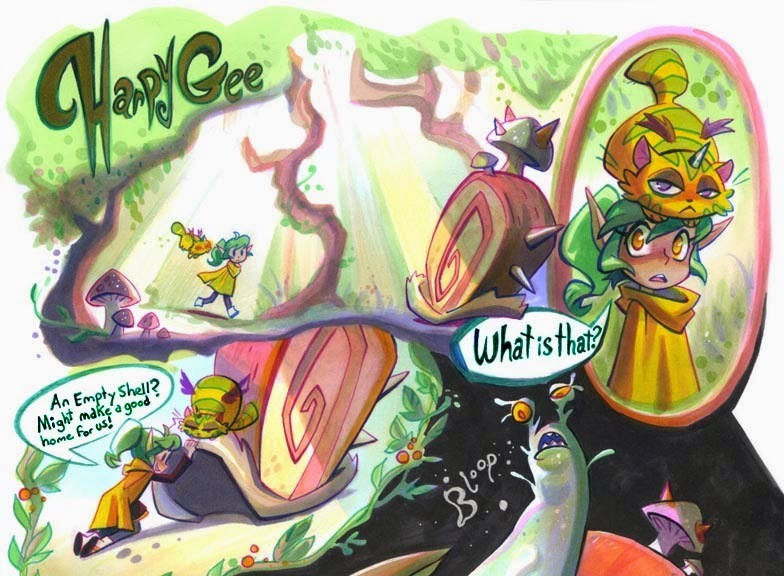 I thought you might, and I have a recommendation for you: Harpy Gee by Brianne Drouhard. Brianne's one of my favorite artists and when I belatedly realized she's been publishing a webcomic since January (apparently I've been living under a rock, duh!) I rushed to check it out. So many pretty colors and things to look at! I would like a Pumpkin cat to call my own, please. And not just because I'd never need to carry a bag again. You can read about the basics of Harpy Gee at Drouhard's blog or dive into the first page of the webcomic at Dumm Comics. If you start reading the webcomic, carve out a little bit of time because you won't want to stop! 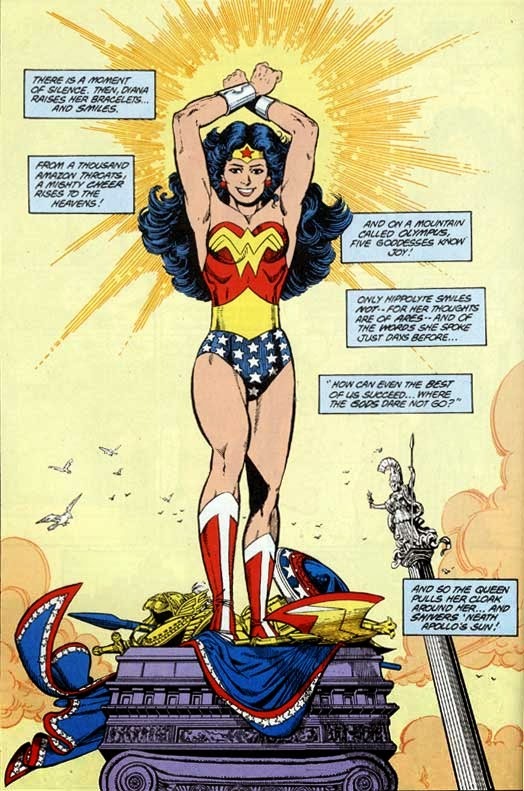 Wonder Woman has what seems like an infinite number of looks. 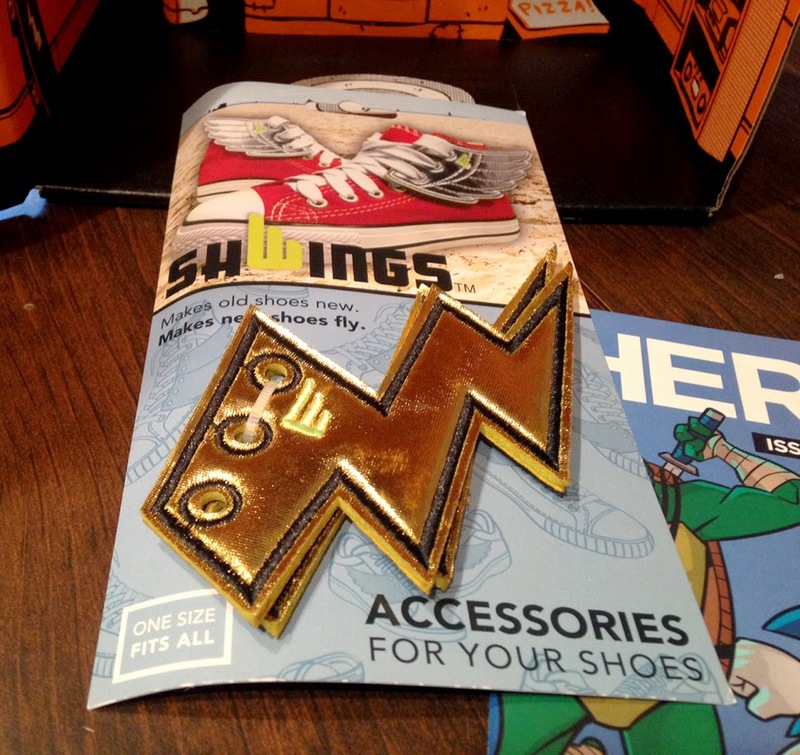 Her costume has been rebooted for comics, television, and toys, and cosplayers have covered them all. For this week's installment of "One Character, Different Costumes," I tried to gather photos of different cosplayers sporting the same versions of Wonder Woman's outfit. Each person brings her own spin to the look, and it's fun to see the range - even if the variations are minor. Wonder Woman by George Perez in "The Princess and the Power"
Wonder Woman cosplayed by Valerie Perez, photo by Michael Ash. Valerie rocks the Wonder Woman look so well that she may as well be Wonder Woman by now. She's awesome. 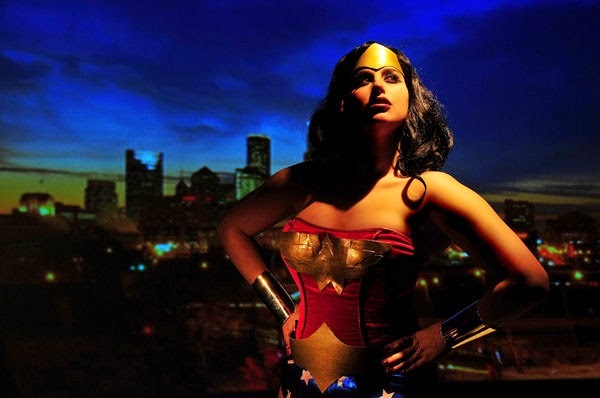 Wonder Woman cosplayed by Alisa Farrington. I love the bright colors of the costume. It sort of matches the infamous Dragon Con carpet. Wonder Woman cosplayed by Giorgia Cosplay. I like that she uses gold fabric for the metallic pieces - that's probably more comfortable. And yes, it's a slightly different version of the costume from the reference image. Wonder Woman cosplayed by MapleBunnie/Reva, photo by Cosplay Shots. Wonder Woman cosplayed by Meagan Marie. Note that the blue fabric appears to metallic - love that. 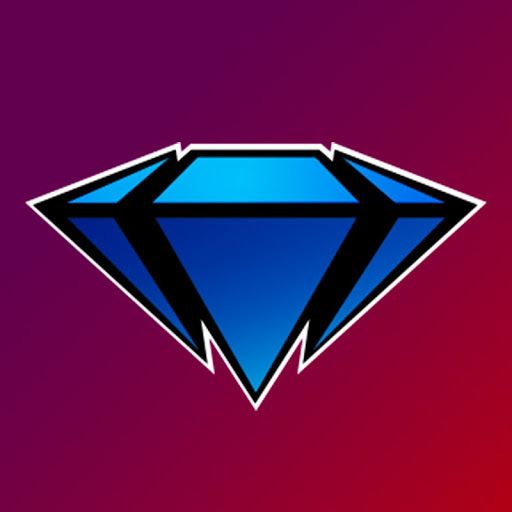 If you have any suggestions about which character and costume to tackle next, let me know in the comments. This time tomorrow I will be on the way to Dragon Con. It's my second year heading to the convention, and though I definitely had some challenges navigating the massive crowds and weird layout last year, I'm ready to give it another try. Hey, at least this time I'm going in with a better idea of what to expect. 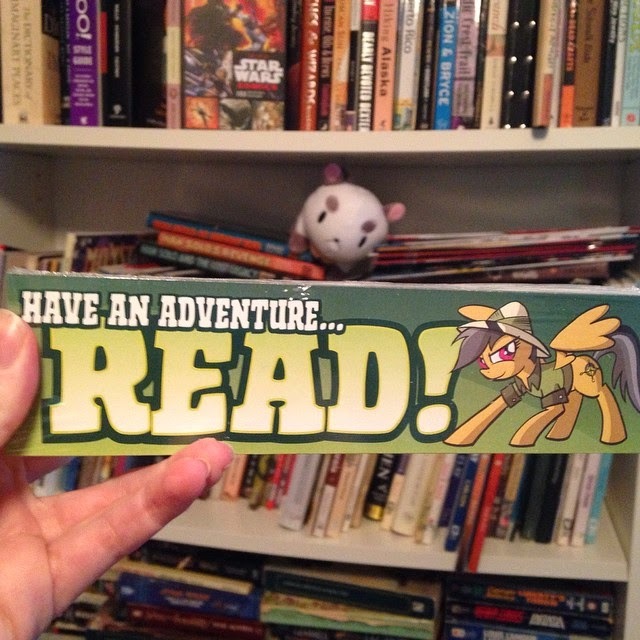 I've giving them away because reading is awesome and so is Daring Do. Hope to see you at the convention! 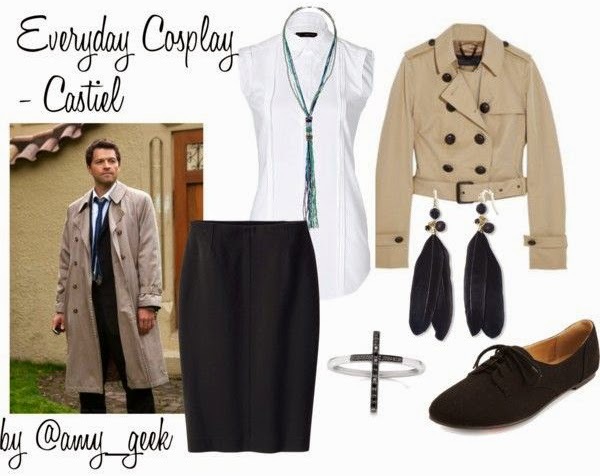 I often see Castiel costumes at conventions and nine times out of ten, the cosplayers in the trench coat and ties are women. While Castiel's suit is casual enough to wear to the office as is - for men or women - I wanted a dressier look. I set aside the blue tie in favor of a long necklace and added some black feather earrings to represent his wings. See more everyday cosplay ensembles on this page or on Polyvore. 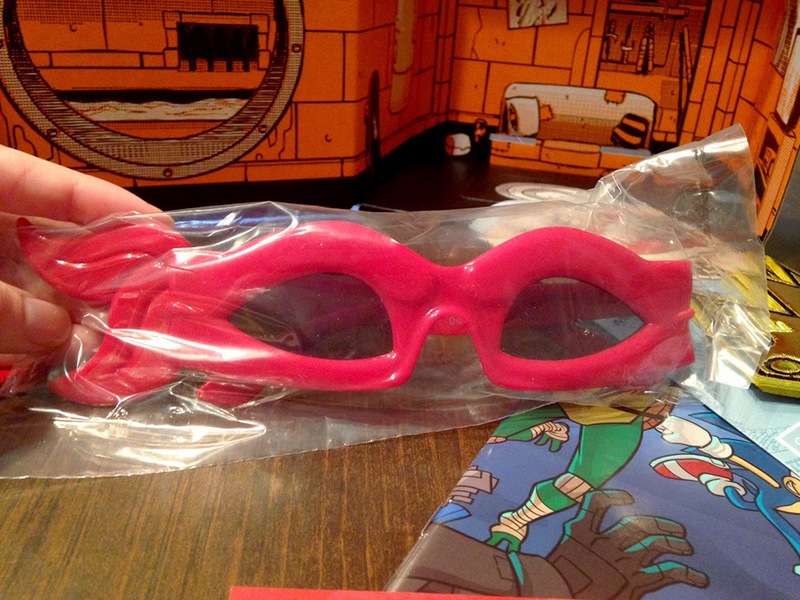 Remember how July's Loot Crate box was about the villains? This month they've changed it up to focus on the good guys. I'm loving the switch to the more generic themes, and I hope they stick with it. This route means a bigger sampling of franchises so that the odds of more subscribers liking something in the box are better. Better than non-gamers like me getting a box of gamer gear and not recognizing any of it. 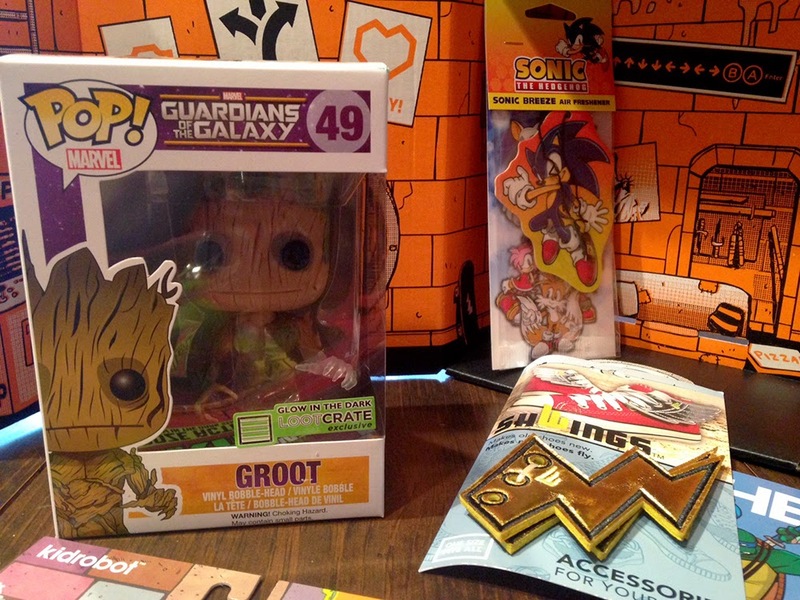 The big ticket item this month is a Loot Crate exclusive Funko Pop! 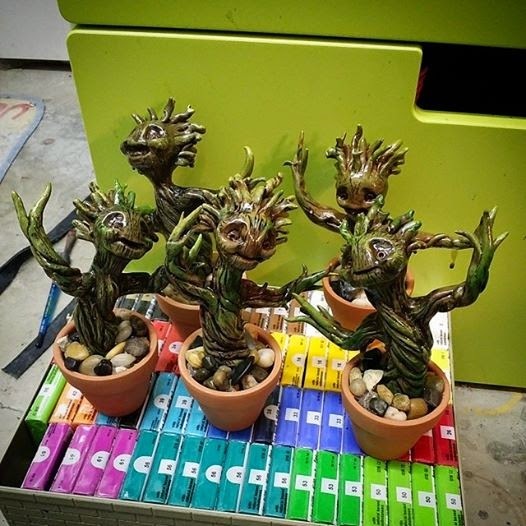 of Groot from Guardians of the Galaxy. 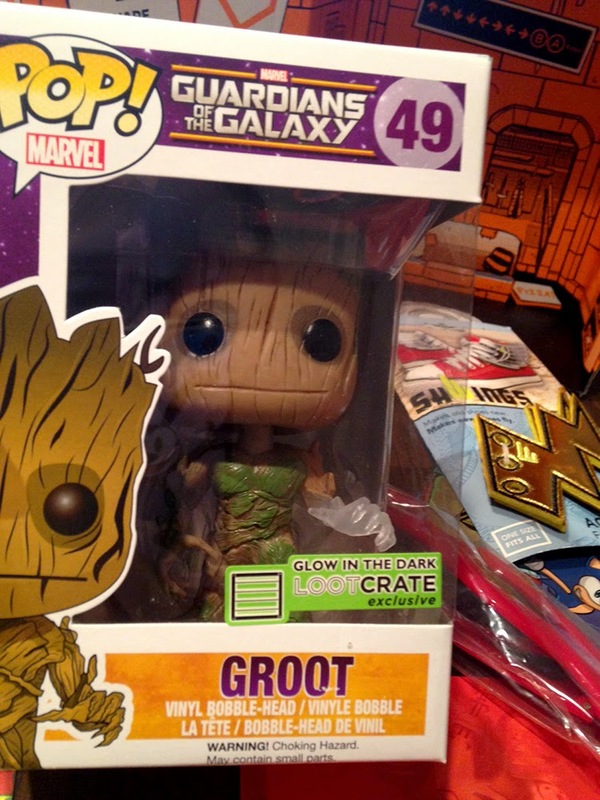 Not just any Groot - part of him glows in the dark. 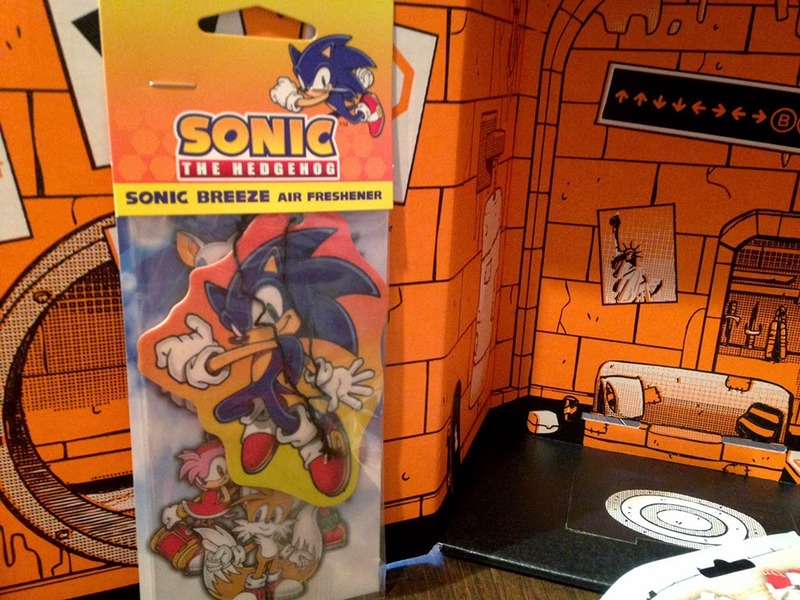 There's also a Sonic the Hedgehog air freshener, Shwings shoe accessories, a KidRobot Teenage Mutant Ninja Turtles toy - also glow in the dark, Teenage Mutant Ninja Turtle themed sunglasses, some digital loot, and a Deadpool magnet. 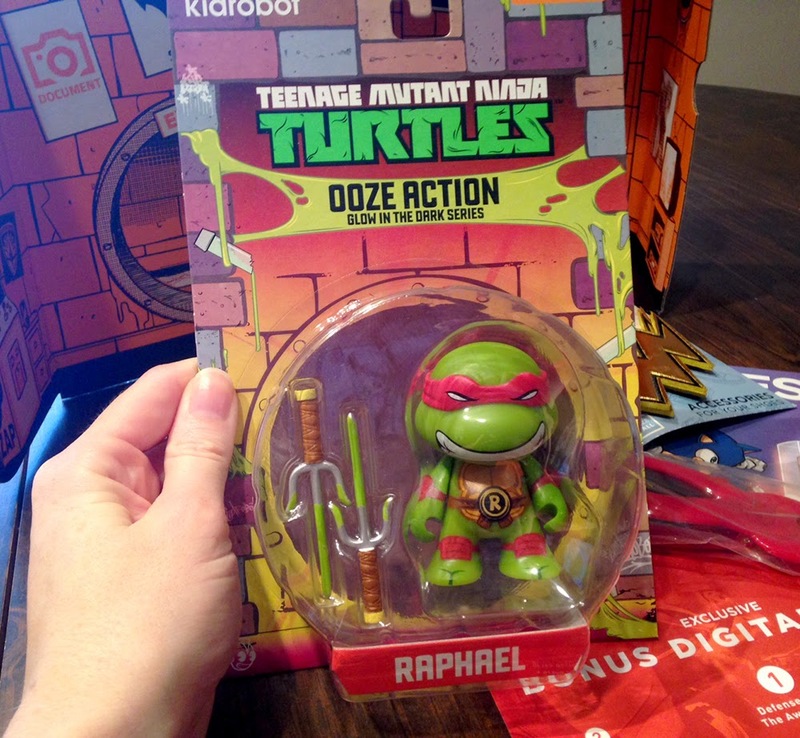 Groot wins the box for me, and even though I'm not a big enough Teenage Mutant Ninja Turtle fan that I would buy toys, I have to admit the Kidrobot Raphael is pretty adorable. Loot Crate costs $13.37 plus $6 for shipping. I'd guess the retail value for August's box is close to $35. 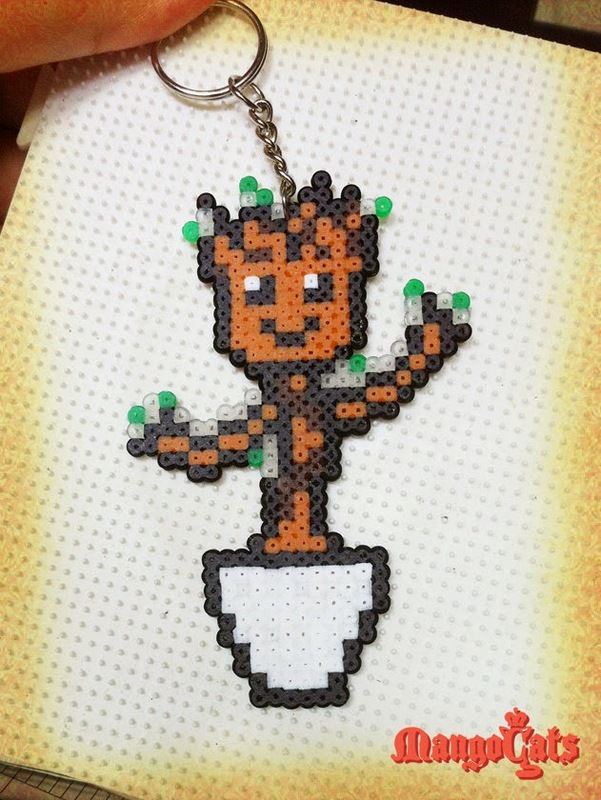 I'm estimating at least $15 for Groot. Heck, the regular Funko Pop! Groot is retailing for $25 in some places. 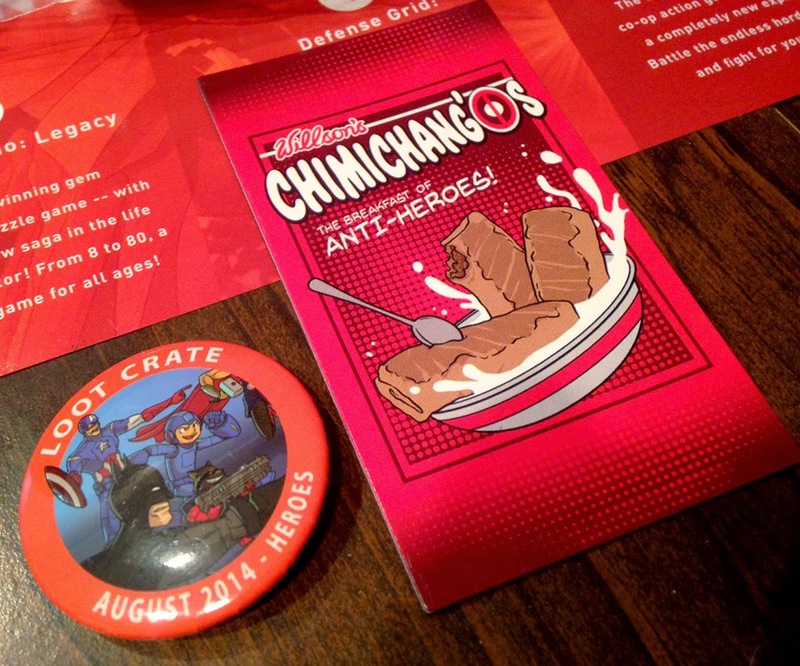 Anyway, the point is that Loot Crate is a good deal. Sign up at their website and use the code gwcloot to get $3 off your subscription. 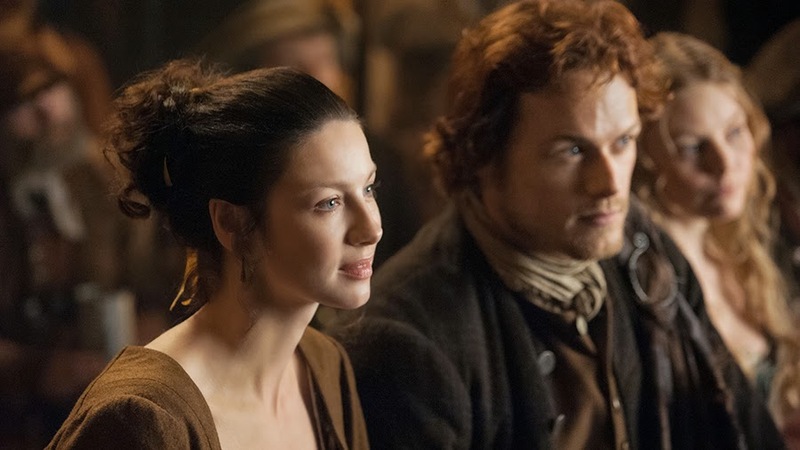 Episode three of Outlander aired over the weekend, and "The Way Out" brought in some intense yet adorable Jamie and Claire chemistry and introduced an entirely new threat to Claire. My favorite quotes from the episode are after the image. After talking a little about everyday cosplay inspiration recently, I decided to commit and figure out how to use Polyvore. The site lets you put together lookbooks, inspiration boards, whatever you want to call them for fashion or home decor. I've seen Leslie Kay use the system for Disney Bound, and it seems like the easiest way to pull together various outfit elements. It's certainly much simpler than trying to compile the pieces in Photoshop. Anyway, once you have a Polyvore account, you just need to think about an outfit you want to put together and search for what you want to include. For example, you can search for "green dress" for a Link costume or "black feather earrings" for a Castiel costume (like this one). To add an item to your virtual closet, you have to like it. Polyvore has a huge number of items in their database, but if you don't see what you need, you can search for it on Etsy or Google and add it to the Polyvore database with a tool in your bookmarks bar. Then you can choose "Create Set" and pull from the items you liked. You can also search for items as you create your set. It is incredibly easy to resize items and move them around. Once you get the process down, making lookbooks actually becomes a little addicting. So much so that I can't stop. I'll share them here once or twice a week, and you can keep up with them at my Polyvore page. Here's one of the first few I put together, Link from Legend of Zelda! I decided to pretty much ignore prices when I add things to my lookbooks because they're meant as inspiration. It's not too difficult to take the ideas in the Link cosplay and find affordable versions of everything at stores like Target and Forever 21. If you have any requests for everyday cosplay lookbooks, please let me know in the comments! If you have limited space or lots of space and want to get more organized, storage cubes will save your life. That's an exaggeration for the sake of a dramatic statement, but they can make a big difference. You've probably seen the fabric bins at places like Ikea or Target or Amazon, and they come in a wide range of colors so you can match them with your decor. I've used them for games, LEGO bricks, and currently one of them holds coloring books and crayons - a.k.a. stress relief. 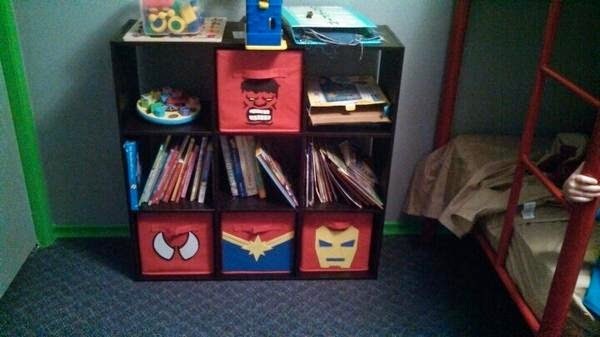 He added Spider-Man, Iron Man, Hulk, and Captain Marvel (yes, boys do like female superheroes, crazy!) emblems to the bins, and it makes me want to go and buy bins and get crafting. It would be a pretty straightforward project since you could add the superhero touches with either acrylic or fabric paints or felt. You could use a similar process for painting the logos on. You'd just need to trace the paper patterns directly onto the fabric bins and fill it in with paint. And you don't have to stop with superheroes. 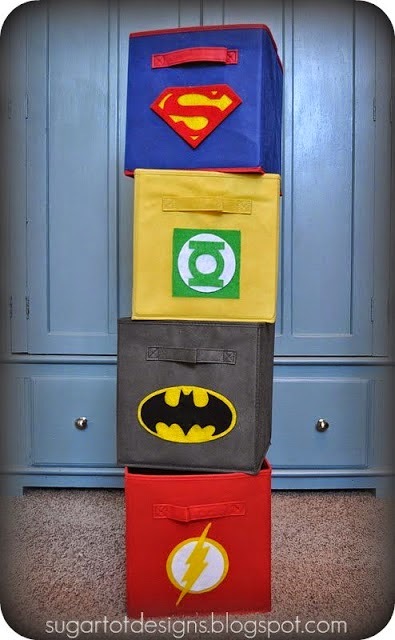 Think of all the symbols you could use instead - Star Wars ones, Transformers, Star Trek - now I want to fill my house with storage bins. There's a lot to love about cosplay, but one of my most favorite aspects is that it doesn't matter if someone's already worn a costume you wanted to make. If you want to dress like Indiana Jones, do it and don't worry about the fact that 5,000 other people have done it before you. You can and should use their experiences to learn and research, but at the end of the day, the Indiana Jones costume you wear will be different because of the person in it. This applies even if you buy a screen accurate replica - no one else can wear the costume like you because in this case, you're a mostly special snowflake. 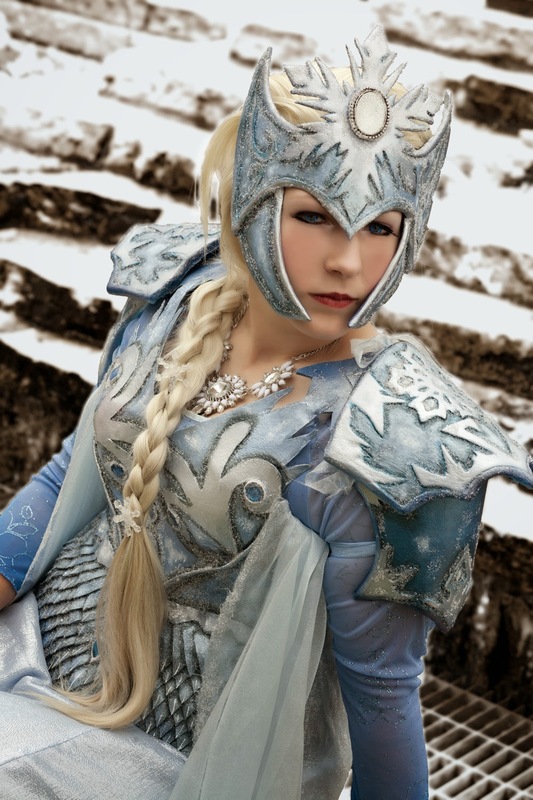 Battle Elsa by MimiruCosplayDiary, photo by Zach Nieland. 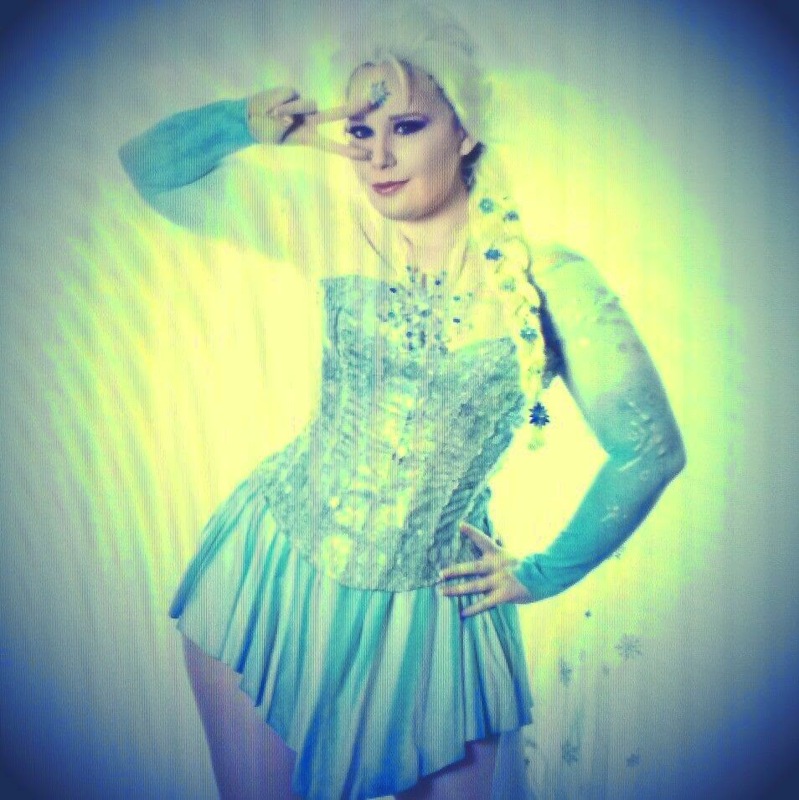 This is an Elsa who has matured and is ready to protect the citizens of Arendelle. Fire Elsa by Elle-Cosplay, photo by Amaleigh Photography. This Elsa has left the snow and ice behind for warmer climates. 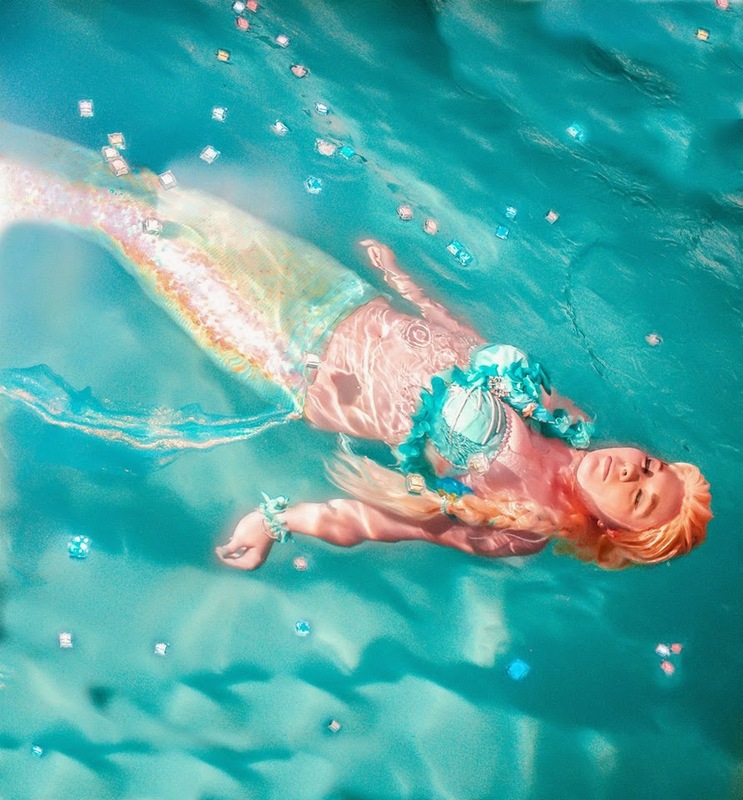 Mermaid Elsa by TorihimeCosplay, photo by Otaku Haven. Elsa's made friends with Ariel and decided to take to the sea. Sith Elsa by Ami-Yumi-Productions, photo by Short Fuse Pinups. 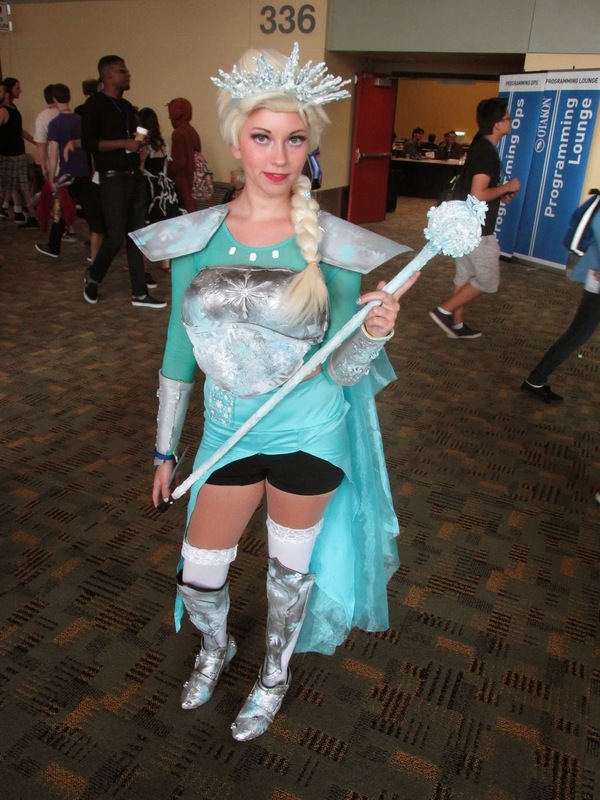 Elsa's gone intentionally evil in this cosplay inspired by fan art. 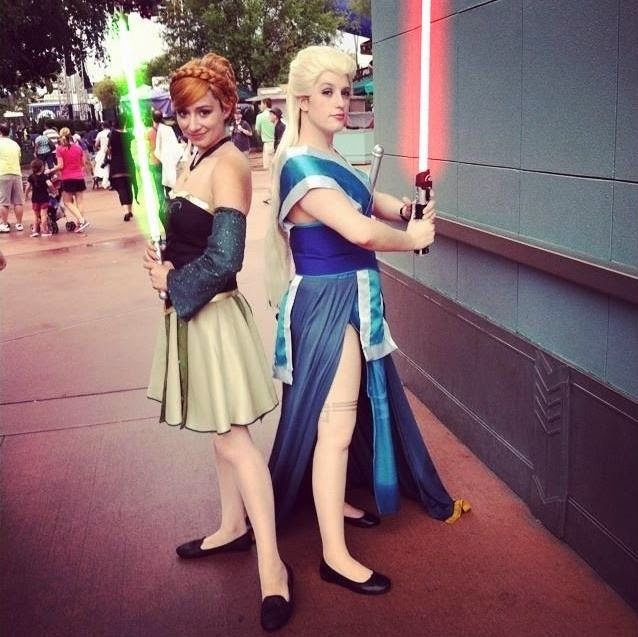 Another Sith Elsa via WickedLover010 who is dressed as Jedi Anna. Sailor Scout Elsa by Chelphie Cosplay. She's ready to transform and save the day along with a whole bunch of other Sailor Scout Disney princesses. 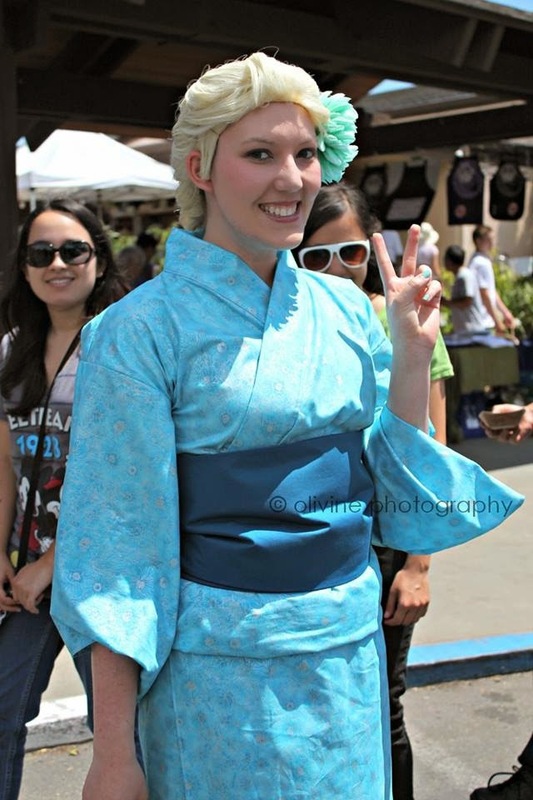 Kimono version of Elsa's dress by EvilQueenCosplay, photo by Olivine Cosplay and Photography. This outfit looks warm but also really comfortable. Another Battle Elsa, photo by Lucy0566. This was spotted at Otakon and could be a mash-up with an anime or video game character I don't know. Anyone recognize the look? Next week we'll look at various cosplayers wearing the same exact costume. If you have suggestions about which character to focus on, please let me know in the comments. 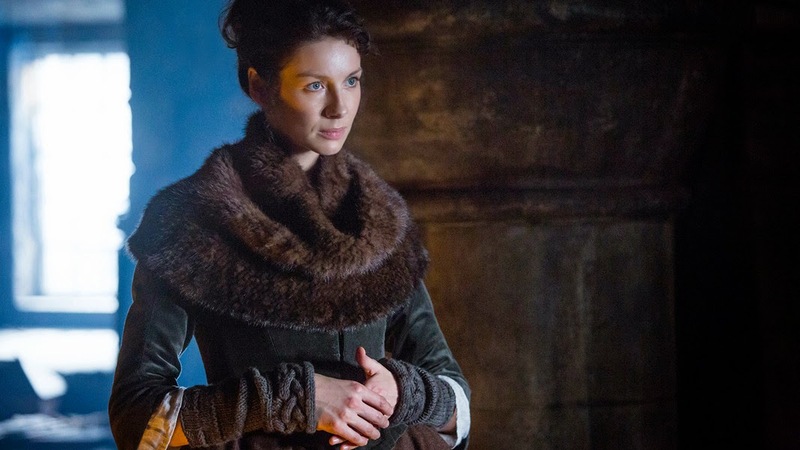 Episode two of Outlander, "Castle Leoch," aired on Saturday. While I'm worried the pacing may be too slow for some - especially for anyone who goes in expecting Game of Thrones - I'm loving sinking into the story. And for the time being, I'm writing reviews of Outlander for IGN. Yay! I'll link that up after the image and my favorite quotes from the episode. Not a quote, but I just want to express how much I want the shawls, fingerless gloves, and sweaters all the ladies are wearing. 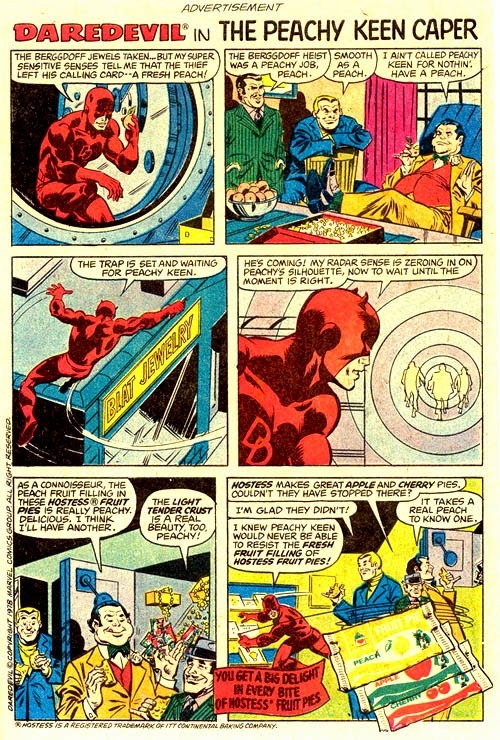 The Hostess ads in comics are priceless. Hostess ran them in in both Marvel and DC titles beginning in 1977. Heck, they even showed up in Archie comics. The one page comics feature products from fruit pies to Twinkies to cupcakes, and they are usually gloriously over the top and amazing. Heroes like Aquaman, Wonder Woman, Thor, Superman, and so many more use Hostess' products to their advantage. Wonder Woman even manages to stop the Cheetah with Hostess cupcakes while she punches a panther in the face. 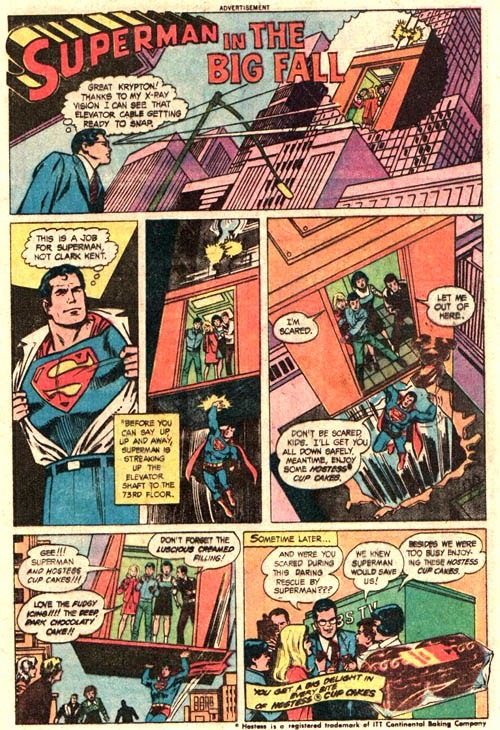 There aren't enough stories like that in comics these days. The ads are effective in that they're the kind of ad you actually stop to read. When I see an ad in comics these days, I skip right past the page. And the Hostess campaign still works today! 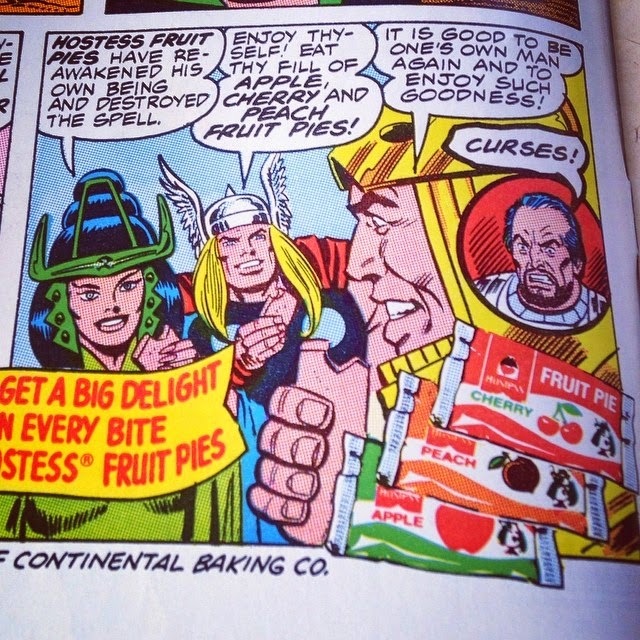 After reading that Thor Fruit Pie ad pictured above, I had a craving for the overly sugary treat and I haven't eaten or even thought about one in years. See many, many more Hostess comic book ads at Seanbaby. 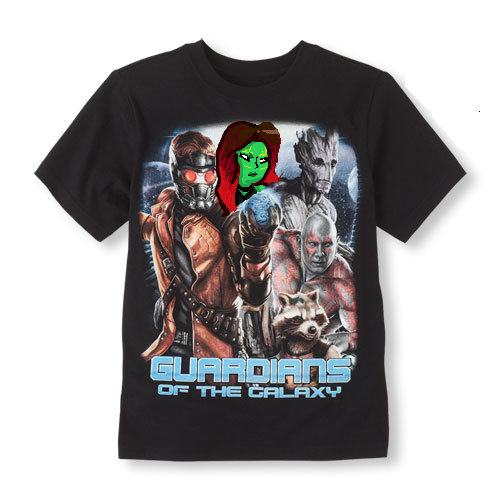 Just over a week ago, I posted about the lack of Gamora I saw on Guardians of the Galaxy merch. It wasn't that she wasn't available as an action figure (she is), but more that I saw her excluded from the group when it came to merch like t-shirts, coffee mugs, and party supplies. I didn't - and still don't - understand why. Some people have been arguing it's because she wasn't written as welll as the rest of the group, but that is so not the point. Regardless of how the character came across, she's still part of the group and pretty much the co-lead of Guardians of the Galaxy. Outlets like The Mary Sue, The Daily Dot, Geeks of Doom, Badass Digest, Legion of Leia, and Bleeding Cool have helped spread awareness. While I have no idea whether Marvel or Disney have heard or seen the questions being asked about where Gamora is on the Guardians of the Galaxy merch, I have a couple of things to share. 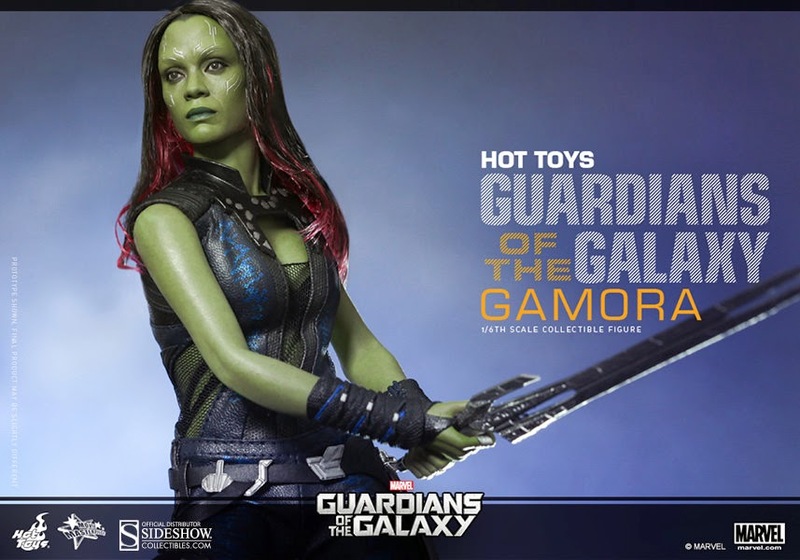 Gamora is only specialty exclusive in that she is NOT Toys "R" Us exclusive. TRU got Yondu instead of Gamora and Nebula, which means that those women will be available at a few thousand comic shops, specialty stores and online retailers, instead of several hundred TRU stores. 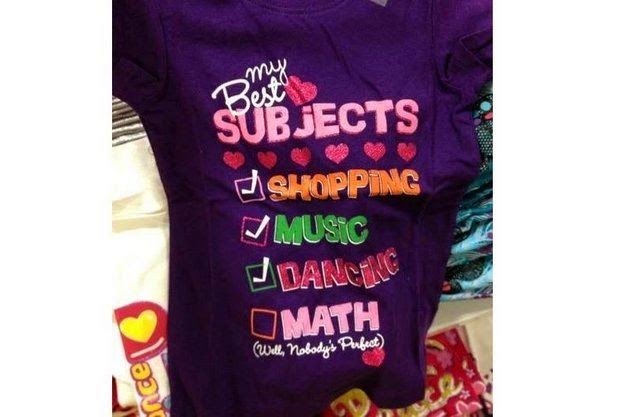 Hopefully, that means more girls will be able to find her, even if it's not at Toys "R" Us. TRU exclusives tend to be scarce, although even some female exclusives have actually lingered in recent years. It's the main reason we did what we did -- we thought Gamora and Nebula would reach more fans (including girls) through the specialty market, while the boys who seem to make up the bulk of our sales at TRU could grab the funny blue guy in the boy-frequented action figure aisle. We try to put at least one woman in every Minimates assortment, including Jane Foster (Thor - specialty), Darcy (Thor 2), Peggy Carter (Cap), Black Widow (Cap 2), Gwen Stacy (ASM and ASM2), and Black Widow and Maria Hill (Avengers). 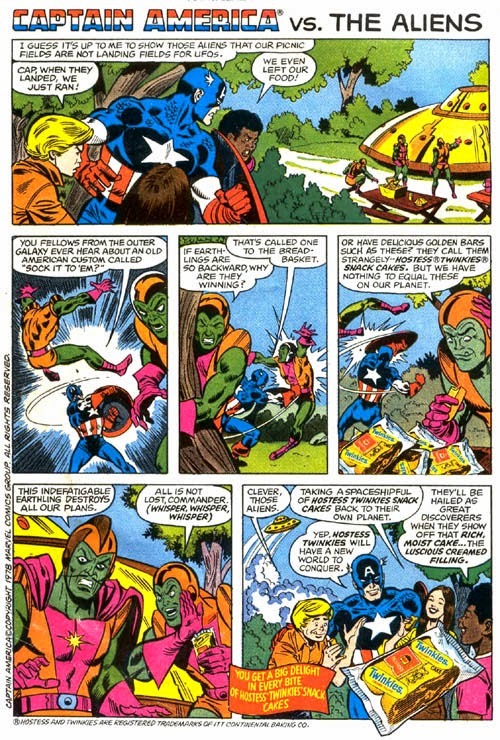 Widow was actually a Toys "R" Us exclusive for Avengers, as was Gwen for ASM. The rest were specialty-only, but then, some of those SERIES were only available at specialty stores and comic shops. Next up are Storm and Mystique for DOFP, although that series will not be at Toys "R" Us, either. 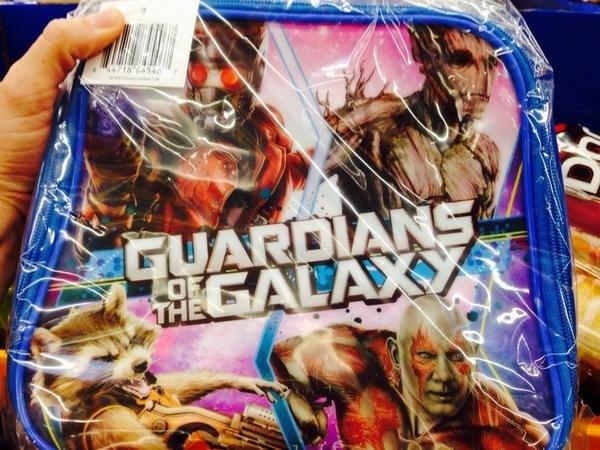 Even with the explanations and new product, I'm still asking #wheresgamora. Mild spoilers ahead for Guardians of the Galaxy. 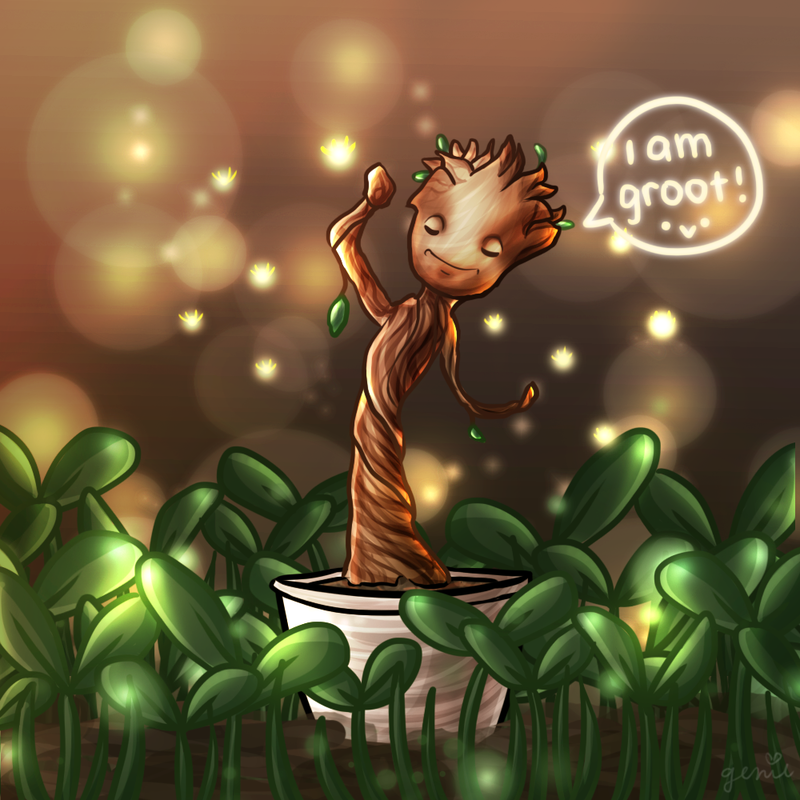 Since Guardians of the Galaxy premiered almost two weeks ago, one character in particular has taken the spotlight in fan art: baby Groot. 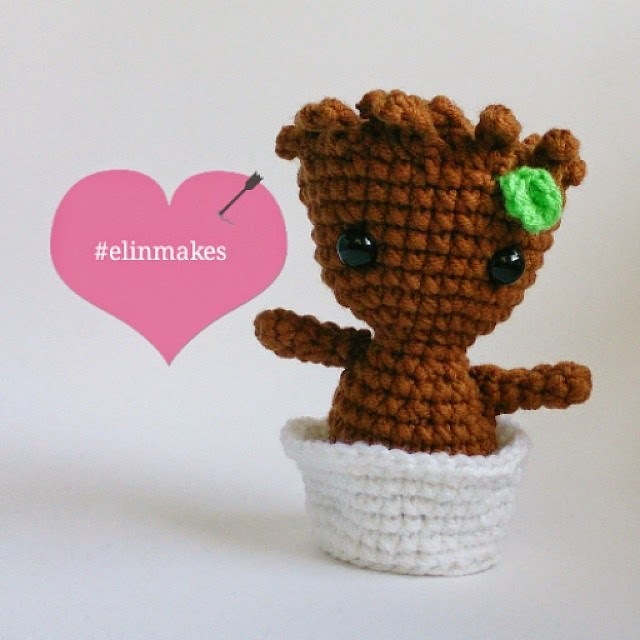 I rounded up a couple of Groot pieces last week, but this post is all about the tiny Groot who stole all of our hearts. 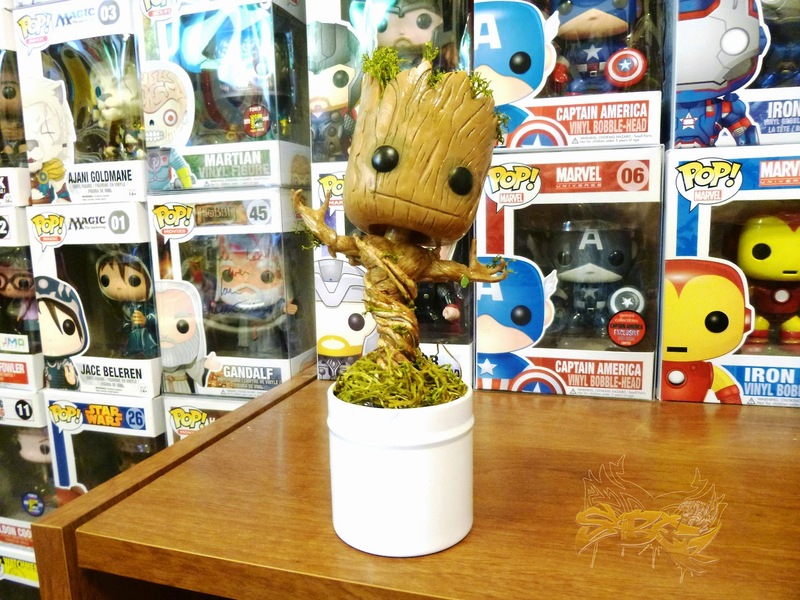 Ganda Kris used a Groot Funko Pop! vinyl figure. She boiled it to make the vinyl flexible enough to pop off the arms. She used air dry clay to sculpt the bottom and painted everything with acrylics. Kris posted the whole tutorial if you want to try to make your own. Another Funko Pop! Groot, this one by Saber Fire Tiger. 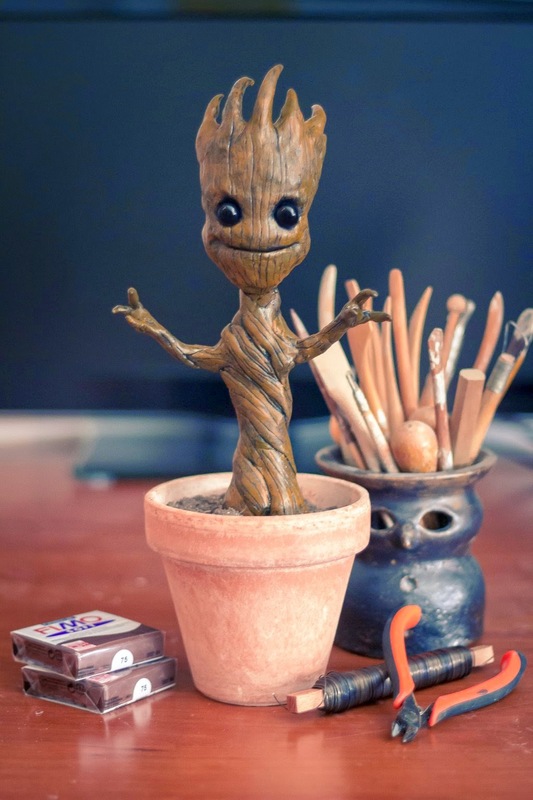 Coregeek sculpted his version of tiny Groot from EVA foam covered with Worbla. The little green leaves were made from craft foam. 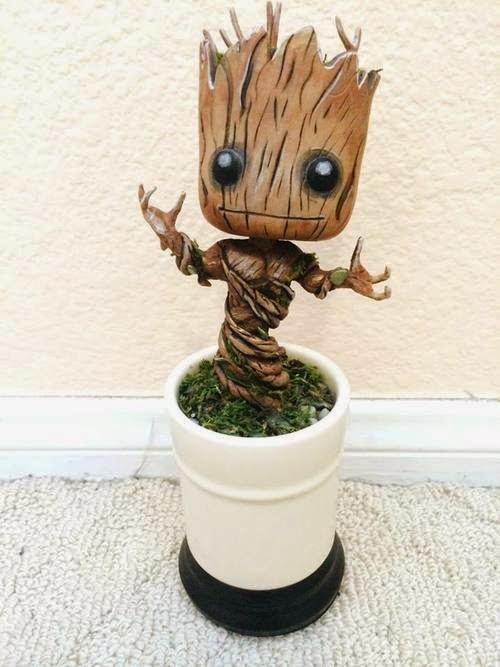 What about an even smaller version of baby Groot? Etsy seller Mango Cats has it covered with her Perler bead magnet or key chain. 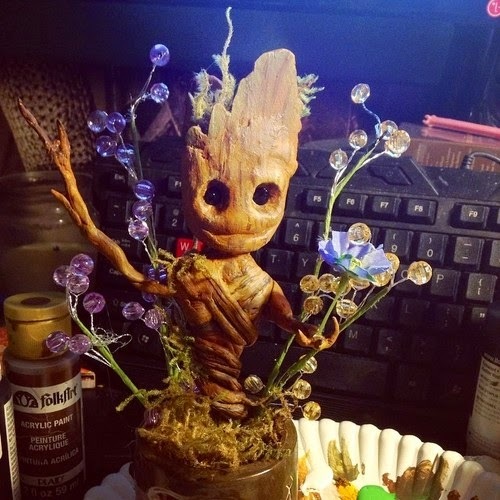 This baby Groot features flowers and embellishments that remind me of the scene where he made light. He was sculpted by Miss Piratesavvy. 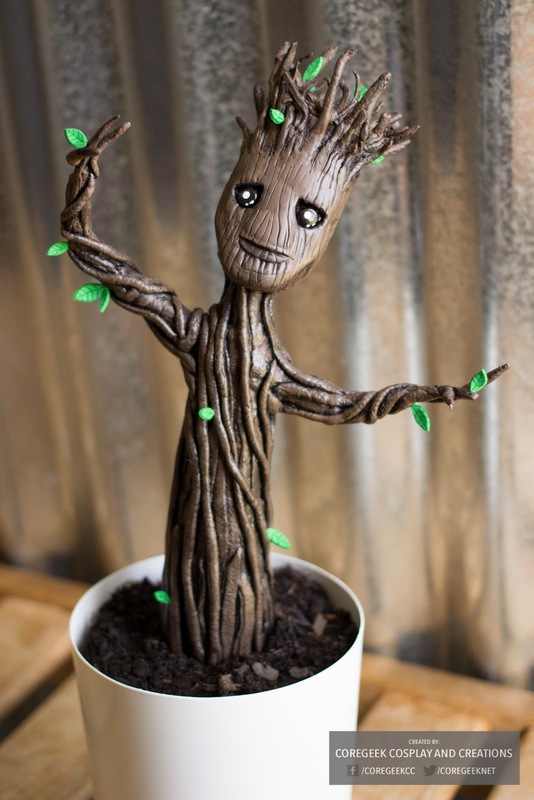 I like this more whimsical take on Groot by Kelsey Wailes. And one more Groot. This one by TheHardLine is made from Fimo clay. 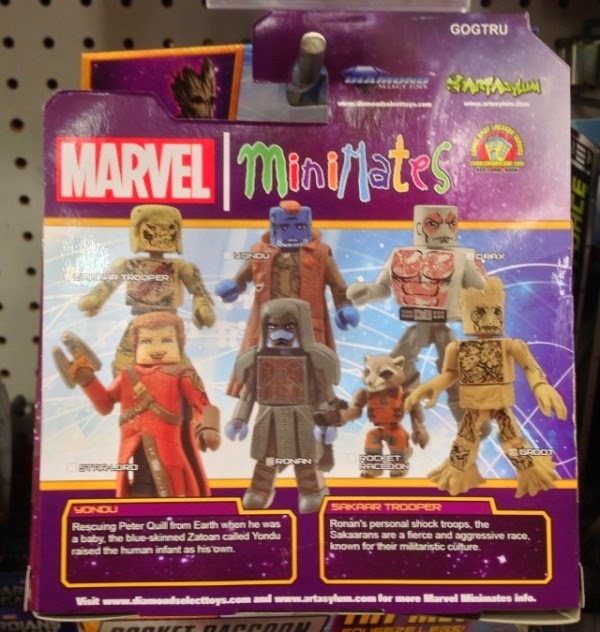 Seeing all of these makes me want to start a Groot toy shelf because I am Groot.